Purple resin case with a purple resin bracelet. Fixed purple resin bezel. Scratch resistant mineral crystal. Water resistant at 100 meters/330 feet. Functions: el backlight, 1/100th second stopwatch, elapsed and split time measuring modes, full auto-calendar, countdown timer, city code display. 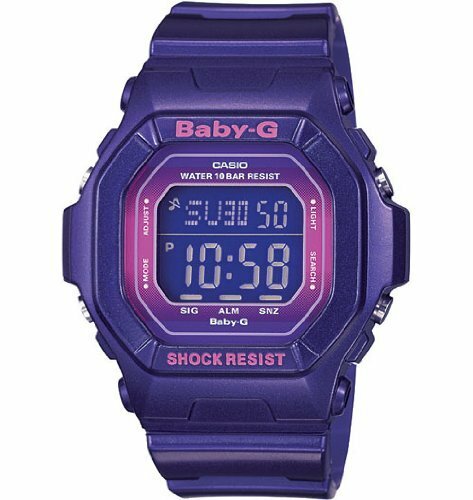 Casio Baby G Vivid Metallic Ladies BG5600SA-6.